Just in case you missed the small print, the new Xbox Live experience announced at Microsoft's E3 press conference earlier today is, amongst many other things, going to let gamers run their games directly from the Xbox 360's hard drive. Microsoft's Mark Whitten reveals more over on the gamerscoreblog, revealing that the only reason you will still need to have a game disc in your drive is for piracy concerns (ie to prove that you bought and own the game) but that it won't spin during gameplay, to make that annoying whirring noise – one of the main niggly problems with the 360. Bonus! Of course, with the recently announced price cut in the US and the new 60GB 360 SKU, this news is bound to boost sales of Xbox 360 models with bigger hard drives. 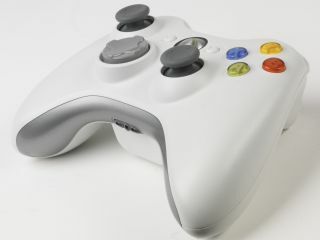 Additionally, what with the slew of new TV and movie content making its way to Xbox LIVE Marketplace, in addition to Microsoft retiring the old blades style dashboard interface in favour of a more user-friendly Xbox Guide, 360 gamers are inevitably going to want to move upwards from the 20GB model, which is just not going to hold enough 'stuff' for most users. Lastly, the 360 is also soon to support the 16:10 aspect ratio over VGA or HDMI, and also run in 1440 x 900 or 1680 x 1050 resolutions. TechRadar awaits Sony's response tomorrow to Microsoft's bullish press E3 2008 conference with a mixture of excitement, trepidation and concern. E3 is back. Long live E3!